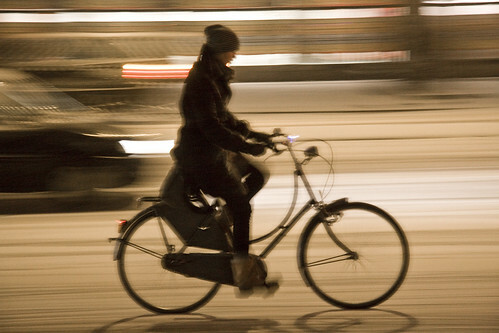 The bicycles roll on in the snow in Copenhagen. 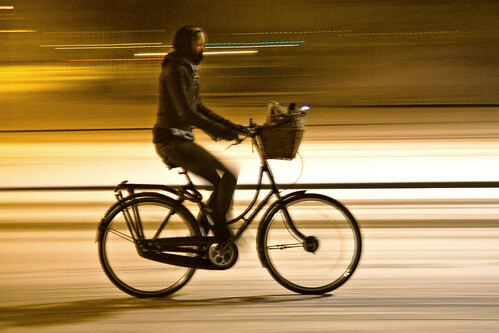 80% of the cycling population continue to cycle throughout the winter, although when there is snow the number drops a bit more. Still a couple hundred thousand cyclists out there, though. Left to right motion at 21:30 on a Tuesday evening. In stylish tights and heels, bien sur. Although winter boots will suffice in this weather. nice shots! 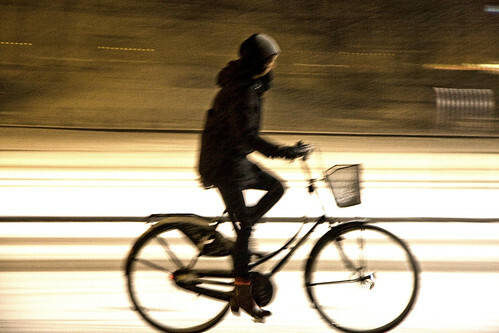 why should snow stop someone from riding? Wow, and I was excited that I saw 10 other cyclists in Chicago yesterday morning (it was not even snowing, just very cold). Can't wait to visit Copenhagen in a few weeks!